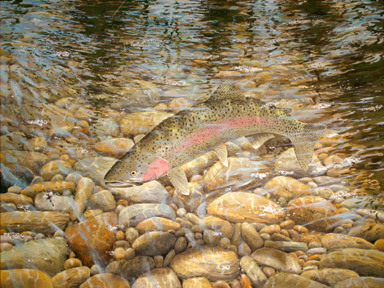 Bern Sundell”s giclee print of October Brown 2 is a large brown trout in the vivid hues of spawning time in the fall. 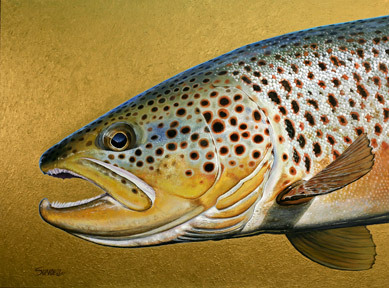 October Brown 2 is a celebration of the great browns of the fall during spawning. 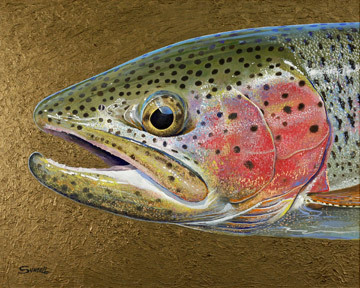 At no other time are the colors so vivid or the fish so outstanding in their appearance. 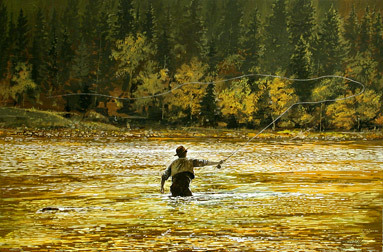 The additional joy of fall is that the biggest fish become active in the daytime, making some exceptional fishing opportunities. 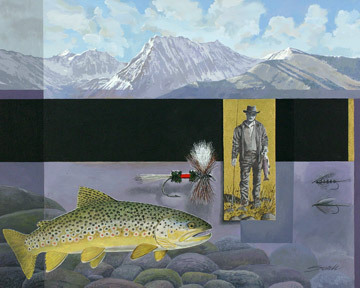 This particular fish is one that Bern caught on the Madison River in Montana on a truly memorable day. 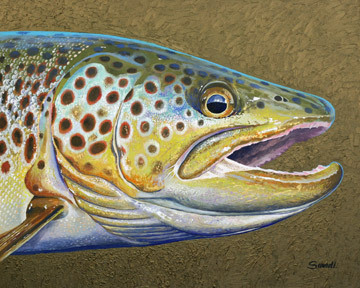 A fish like this visits your dreams for years to come! 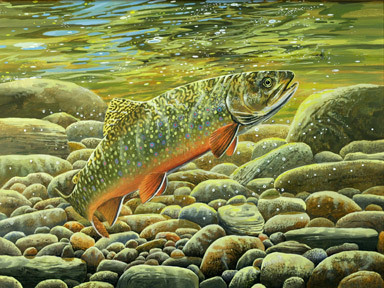 This painting is 54″ wide by 40″ high created with acrylic paint on canvas with painted gallery wrap edges so framing is optional. This distinctive painting has been sold. For gifts or your own pleasure, the image is also available as giclee prints.